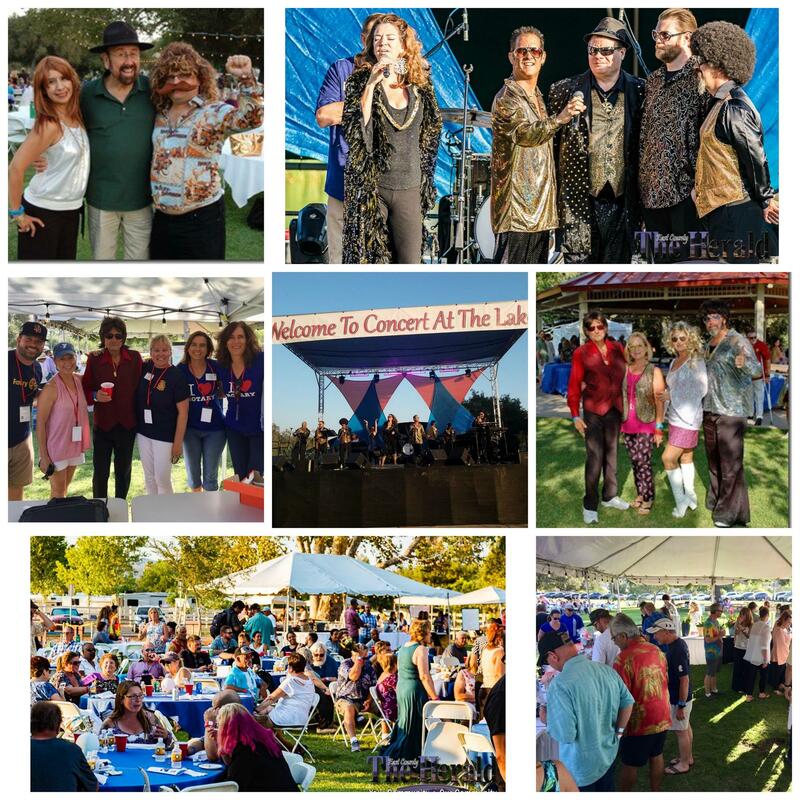 On July 28, 2018, the Santee Lakeside Rotary Foundation, in conjunction with the Santee Lakes Foundation, held their 9th Annual Concert at the Lakes fundraiser at the renown and beautiful Santee Lakes Recreation Preserve. Polyester Express kept the crowd dancing all night with their energetic performance and go-go dancers. A $1000 costume contest, sponsored by Pardee, had attendees dragging out their best disco attire. A delicious dinner and silent auction rounded out the evening of fun. Proceeds from this event help support the Santee-Lakeside Rotary Club's Scholarship Program, a program in which local high school students at risk for not graduating are mentored one-on-one by club members and, upon graduation, are provided with a scholarship equivalent to two-years of community college tuition, books and fees. The funds raised also support programs at Santee Lakes for children and families.